If you are interesting in trading Bitcoins, and understand its merits, strategies, methodology and the risks associated with it, you should probably start considering where you should start your Bitcoin trading from. And you not only can trade Bitcoin via various Bitcoin exchanges but you can also engage in a successful trade, investing in ‘alt coins’ like Litecoin, Namecoin, and Peercoin. You may also choose to use government issued money and other digital currencies. Essentially, it would do you good if you start your trade by first investing in the popular cryptocurrency, which is Bitcoin. To start trading using Coinbase, you only require a bank account and nothing else. You can purchase Coinbase conveniently. Bitcoin also has an instant verification feature with Chase bank. So, if you have a couple of bank accounts, Coinbase is an ideal choice for you to start trading. Another great feature this Bitcoin exchange has is it allows users to purchase parts of the Bitcoin if you can’t afford one, which can cost you $1,000. This can also prove to be beneficial for you. Bitstamp also functions in the same way as Coinbase. The only difference is that Coinbase can be set up fairly quickly. While Coinbase is for Americans, Bitstamp can help you to start trading irrespective of whether or not you are an American. 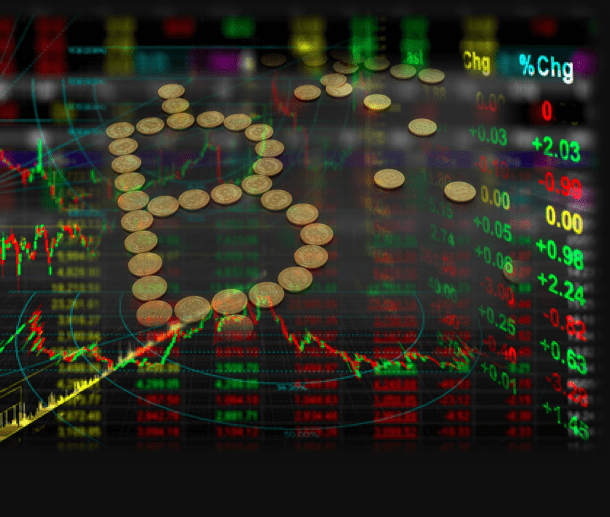 If you like to start trading with Bitcoin, trade all form of cryptocurrencies as well as Bitcoin at BTC-e. The website is really fast in terms of setting up and trade. Especially, if you’re a day trader, the BTC-e has a considerable market volume and is the only Bitcoin exchange where you can day trade with convenience and speed. For a quick trading Bitcoin exchange, trading here will be of no use to you. However, if you are considering trading with ambiguous and smaller digital currencies, you can at least buy them from Cryptsy. BTer provides its users a list of digital currencies. However, it pales in comparison to other exchanges in terms of volume and day trading. However, according to users trading at BTer has proven to be quicker than Cryptsy. So, you might freely be able to swing around some money at BTer in popular Bitcoin markets like BTC/LTC. 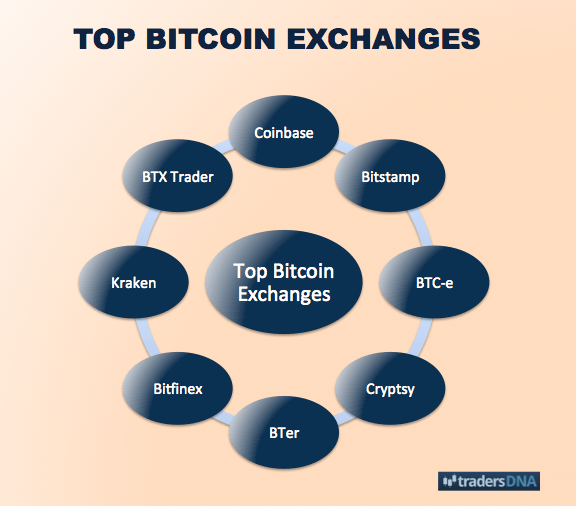 Bitfinex is counted among the few Bitcoin exchanges which permit users to use ‘leverage’ utilizing marginal trading. Bitfinex offers the opportunity to use your money to liquidate different traders with a fixed fee in interest. The Bitfinex Bitcoin exchange allows traders to efficiently and effectively trade and use more money than they have available, which, in turn, allows traders to make huge sums of money on the amount invested. However, your chance of incurring a loss is also imminent with every trade. Kraken provides Bitcoin traders a plethora of trading options and advantages. For example, you can trade using popular alternative cryptocurrencies, including Dogecoin, Ripples and Litecoin. Plus, you can make profits in both USD/EUR. Furthermore it also allows users to conduct Bitcoin trades in large orders. You can also buy digital currencies at a percentage which can be below or above the fixed market price. Your trades can also automatically close at a particular profit range. BTX Trader specializes in giving traders a multitude of various advanced order, like stop loss orders and trailing stop orders. BTX Trader also provides users an interesting benefit and feature which most don’t: ‘hidden orders’. This allows a trader to place a limit order on the Bitcoins in the market that other traders will not be able to see. This is an advantageous feature indeed as you can test the market settings to see how they perform, particularly in markets where there is less liquidity and volume. The Bitcoin market itself is volatile, but you can use the ‘hidden orders’ to conduct bigger trades which have the elasticity to swing the volatility of the Bitcoin markets in your favour and no one will find out that it’s you swinging the market. So, these are some of the top Bitcoin exchanges you can use to conduct big or small Bitcoin trades no matter where you are.